In an exhausted daze, I missed my stopped and ended up in Ueno. 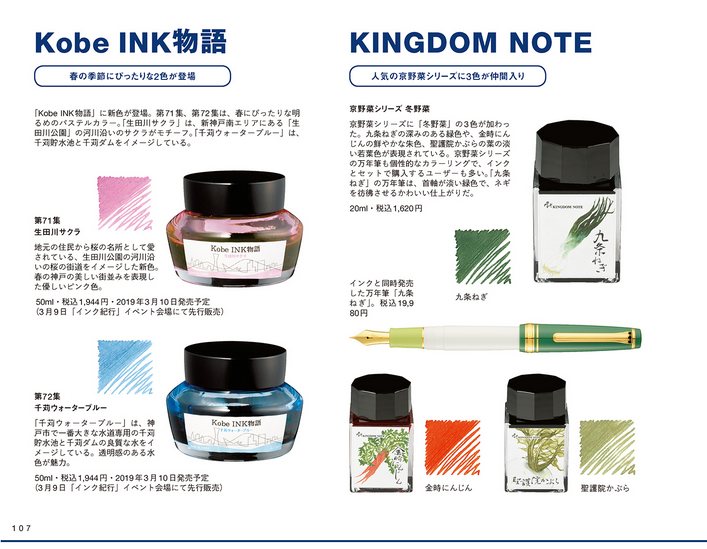 A friend asked me to pick up the two new TAG inks when they come out next month, so I used the opportunity to stop in Angers stationery store in Ueno station and ask if they plan on carrying these. They do not. 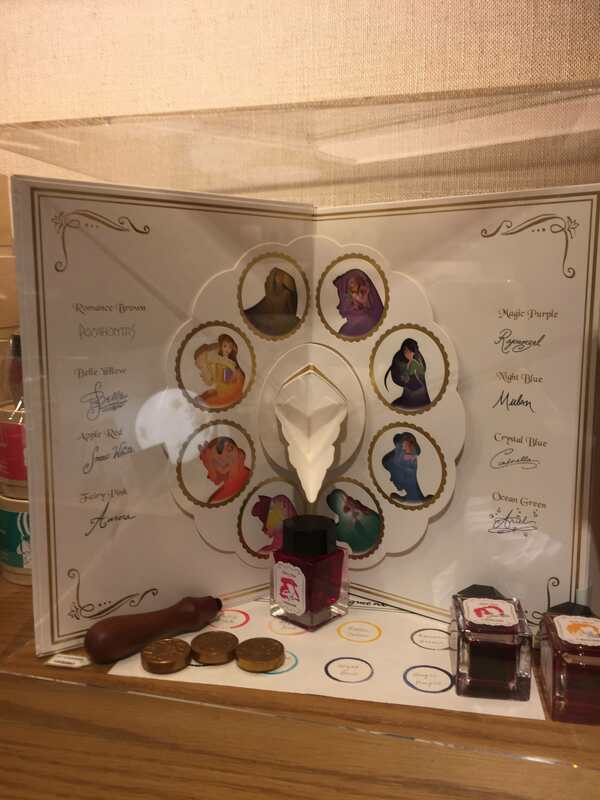 However, in the main window they had displayed their own Store exclusive Sailor Inks. They said they were originally released in August but either sold out or delayed. Today being the first time they were on display or redisplayed. Has anyone posted on these before? Edited by Algester, 28 October 2018 - 05:22. Very interesting! 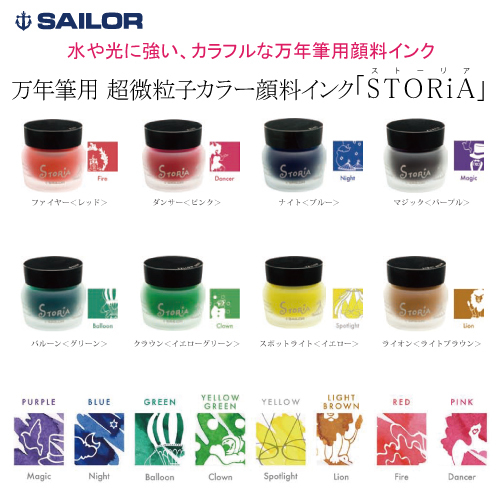 I guess they're just the STORIA line relabelled, and I can see Sailor kept 'Magic Purple' and 'Night Blue' in the eight names. Vanness is up to #67 in the basic numbers and they also have some of the special edition inks such as Van Gogh Green, Cosmo Blue, DEN Premium Blue. So they'll probably get this one. Edited by Algester, 15 January 2019 - 08:03. Maruzen had one for this year. The KN 20 ml "vegetable" inks and "world proverb" inks are listed as "limited edition" on the KN website, so they won't be around forever. There are also corresponding matching pens. And another bottle shape in the Bungbox inks? 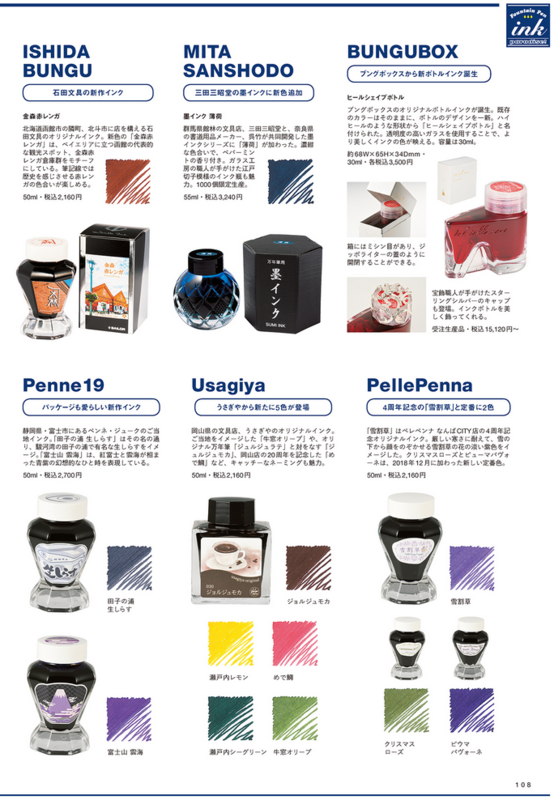 Actually, there has been a lot of new Sailor inks released here and there with littke or no fanfare, you just chance upon them when stopping in stationery stores. I recently found three at Angers, another 3 at Takashimaya, Nakabayashi and Taccia are both by Sailor and they have two distinct ink lines. (Taccia is now owed by Nakabayashi). Tsutaya in Ginza 6 has a few new LE colors each time I stop by. Too many for anyone person to know about. They appear unadvertised at a small, out of the way store in very limited numbers. Once word gets out, if it does, some colors are already sold out. Judging how this once super hit thread has cooled, it seems the fad is over. One can use only so much wonderful Sailor ink, I suppose. It's just impossible to keep up with all of them, but also... they do start to look very similar after a while. The last ones I got in bottles were Kobe 68-69 'cos they were pretty unique, but before that I was content to get 4 ml of things that Vanness was able to acquire. I was asked to post this link of another ink that was found. Bungubox is changing their bottles, and reducing their list of inks to 18. 3500¥ for 30 ml. 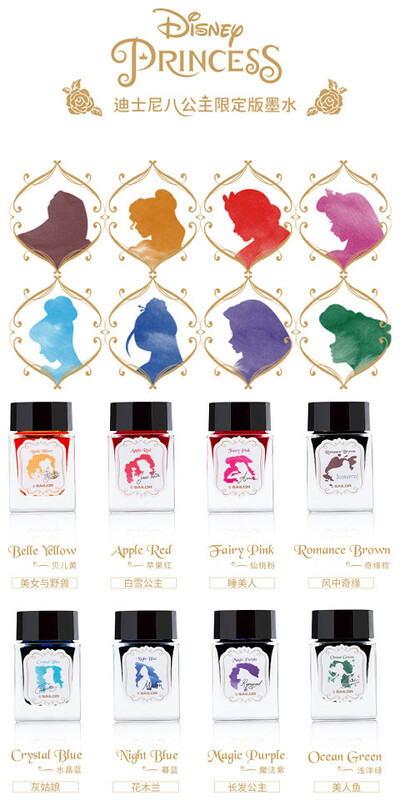 The inks to stay are Omaezaki's Sea, Kaoru Ink, Lycoris Red, Norwegian Forest, Tsuyuhikari, Dandyism, Piano Mahogany, Clown Teardrop, June Bride, Hatsuyume Aofuji, Fujiyama Blue, Ink of Witch, L'Amant, Sakanamachi Horoyoi, Silent Night, Omaezaki's Sky, 4B Bungu Box Blue Black, First Love Sapphire. Norwegian Forest is supposed to be a replica of Parker Penman Emerald. First Love Sapphire is supposed to be a replica of Parker Penman Sapphire. Tsuyuhikari used to be called 88 Green Tea I think. Sakanamachi Horoyoi used to be called Tipsy Purple. 6100¥ shipping to North America for three bottles. So you can do the math. About $54 a bottle. Whether that will be the price at Vanness, Anderson, and any other US shops reselling them, my guess would be they'd be able to work out a lower price than that. Montblanc LE inks will be cheaper.